How cool would it be if when you bought a really cool shirt online, one would be donated to someone in need? Well Clothe Ohio does exactly that. 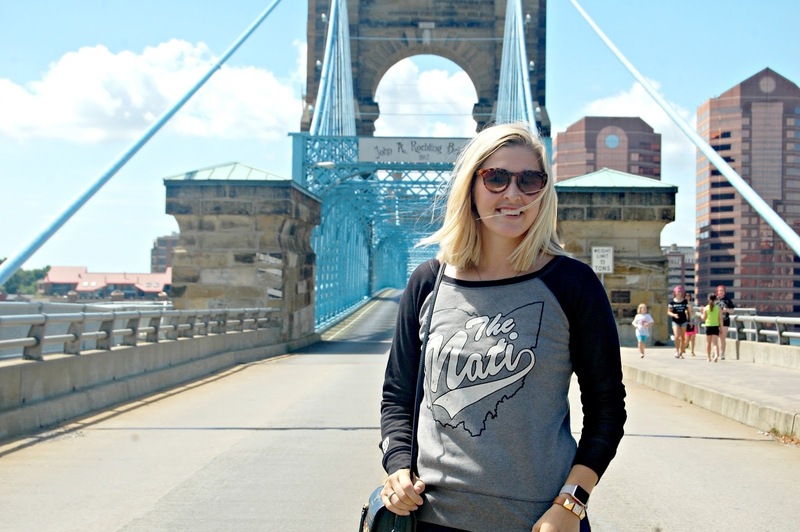 With every order place, they donate a tee or sweatshirt to an Ohioan in need. So you can totally feel even better about ordering that super cute sweatshirt for the upcoming football season. 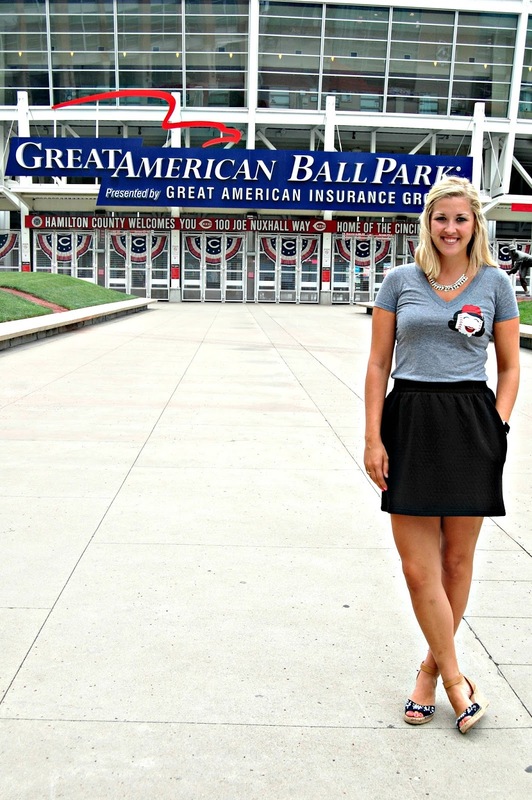 They have swag for all sorts of Ohio teams, but for me they have some great Cincinnati gear! 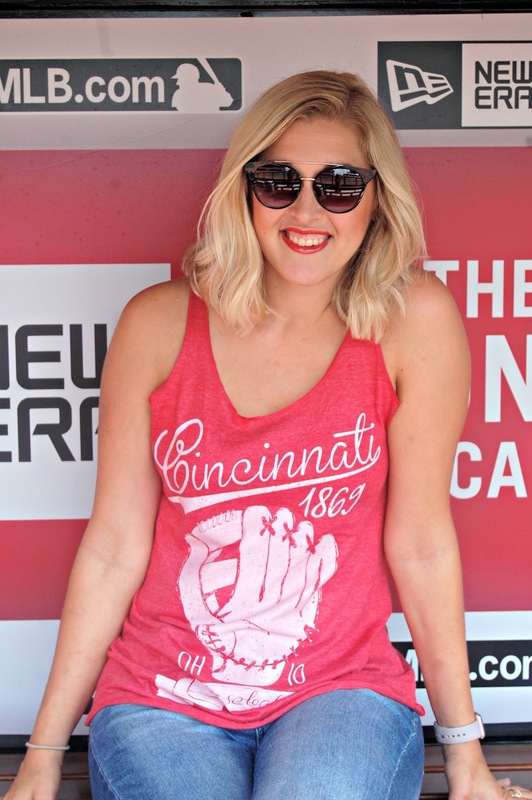 This tank top is perfect for an upcoming Reds game! Bring a group out to the ballpark and I can hook you up with discounted ticket prices - 513-765-7452 or kparsley@reds.com! Can't wait to wear this sweatshirt for tailgating Bengals games! But seriously it's so soft and comfy it might just be my weekend go-to this fall. 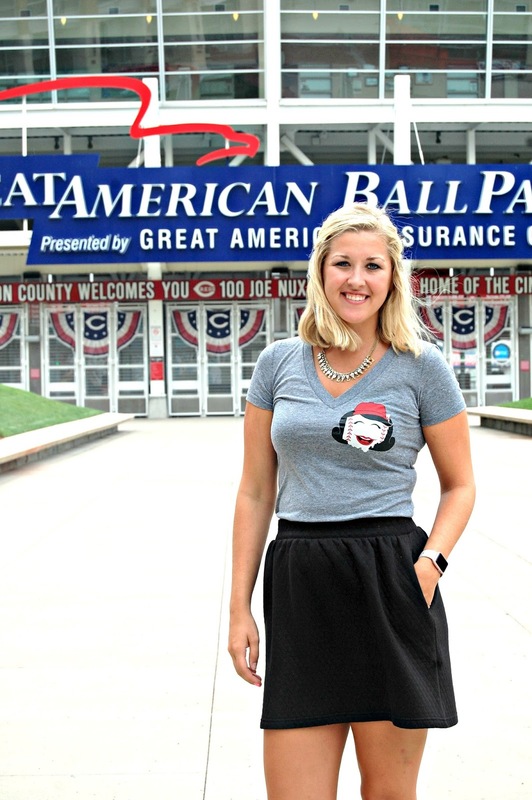 Since I'm always wearing Reds gear for working games, this Rosie Red tee was a no-brainer. I get compliments on it every time too! 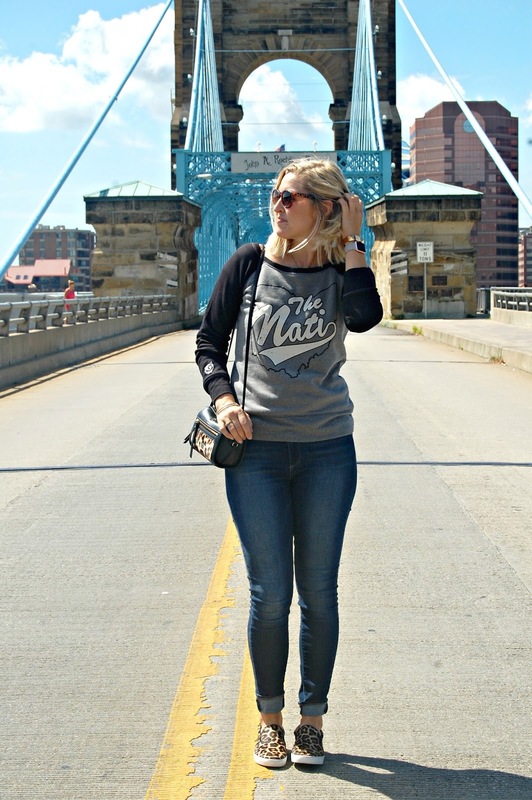 Shop Clothe Ohio and get clothes with a cause! All of these tops are so cute! Love how you styled them! I must have one of each!